We've got some fantastic medium tanks available. Courtesy of our allies in Australia! 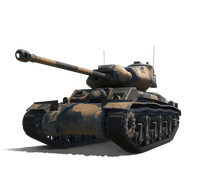 The VI AC 4 Experimental is a great tank if you like to be on the move, damaging as many enemies as you could. Rush into battle and use the tank's powerful gun and speed to cause some heavy casualties.